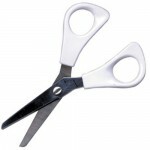 Metal encased in plastic for safetyDesigned to only cut paper and card, not fingers or hair! 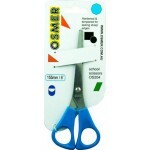 Rounded tips and plastic blades are safe for little hands. . Preschoolers and young primary aged children can enjoy 'ouch-free' paper cutting with these Safety Scissors! 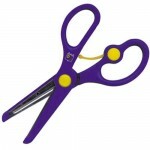 Designed to cut paper and card st..
Faber-Castell Grip Scissors are designed for better comfort and control, making it easy for little hands to grip and improving eye-hand co-ordination. 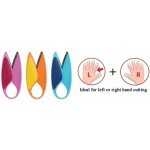 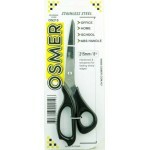 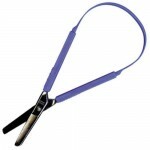 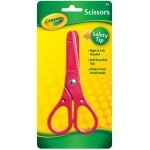 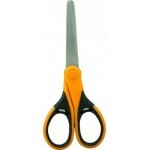 Ideal for Left or Right Hand cutting and safe for children with rounded blade points. 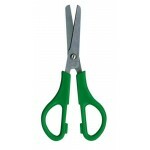 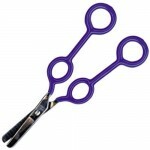 ..
Good quality left handed scissor 130mm..
220A Scissors - Rounded Tips..
300A Scissors - Rounded Tips ..
430C Shears - Craft Scissors ..
White Handle, Left Handed 130mm..